Gem Lakes is a beautiful and peaceful location located along Lumpy Ridge. 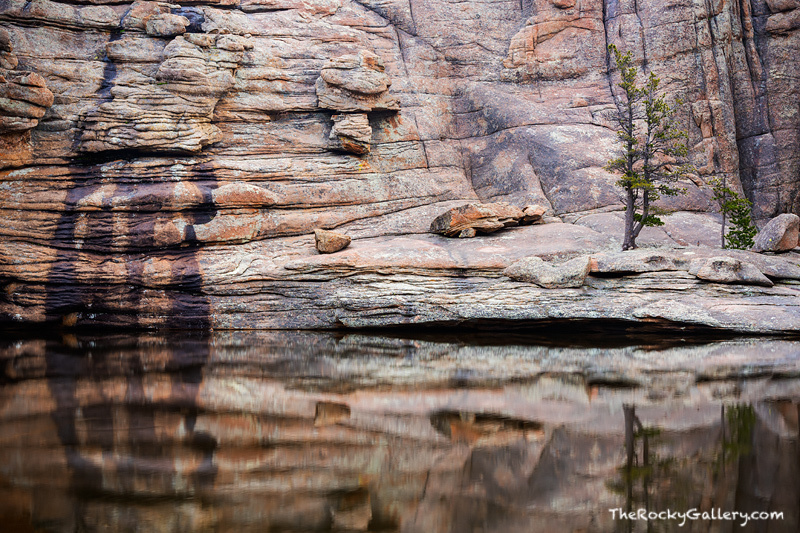 The rocky walls that rise above Gem Lake are popular with rock climbers but also present beautiful patterns and textures to photograph. A few trees line the shoreline of Gem Lake and have managed to exisit and thrive in a sandy and rocky location. I find trees often take on the personalities of the locations they inhabit and these hardy pines that watch over Gem Lake are no exception. Photo © copyright by Thomas Mangan.